At mAbxience we maximize our in-depth pharmaceutical knowledge and experience to meet the objective of developing and offering innovative therapeutic solutions, with the highest quality, covering a wide range of diseases and giving access to as many people as possible. For this reason, mAbxience focus its resources and efforts on R&D activities, which are developed through its network of centers of excellence, located in various countries of the European Union and Latin America. 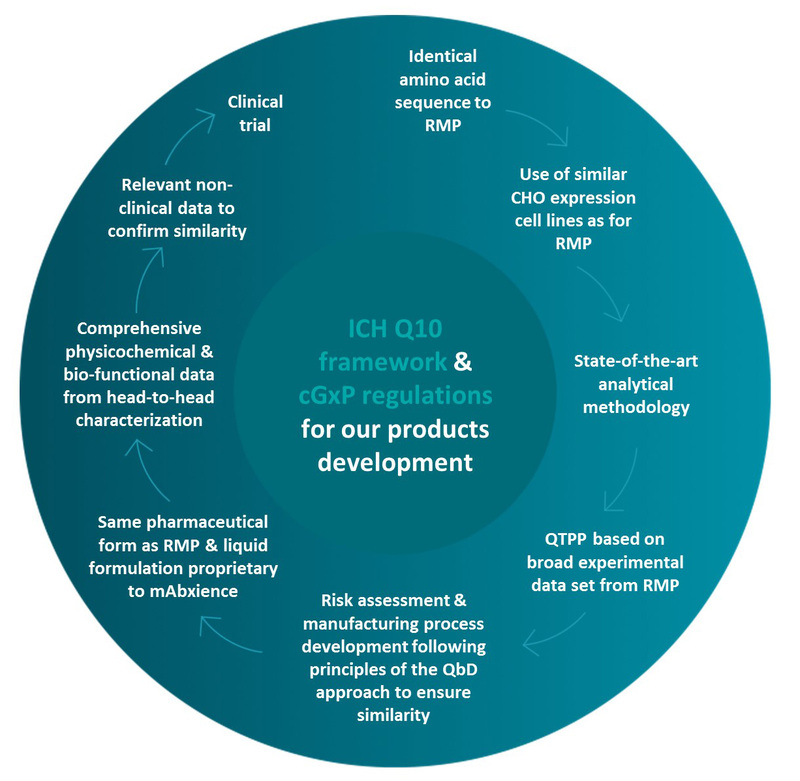 mAbxience works under ICH Q10 framework and cGxP regulations for all of our products development. The research and development of our products are carried out in our manufacturing plants in León (Spain), acquired in 2014 and inaugurated in October 2015, and in Buenos Aires (Argentina), acquired in 2010 and inaugurated in June of 2012.